If you have watched Jamie Oliver’s American Food Revolution, or his earlier UK-based show. You will probably have been inspired, shocked and moved in equal parts at the diet of this generations school going children in both the UK and US. As Ireland does not have a tradition of “school dinners” Irish children in the main have been raised on packed lunches, which looks in comparison to be the better option. Hedley Park students have benefited from parents that care enough to give their children the healthiest packed lunches. This is supported by the staff and directress ensuring that evening snack is equally fresh and nutritious. Our curriculum provides opportunity for students to be educated in good food choices through circle times and various exercises during the school day. While their palates are informed to new flavours at mealtimes and “make and munch” sessions, all of which opens the child to the world of healthy eating we hope they will carry throughout their lives. This starts at the very beginning of a child’s education in Hedley Park and continues right through to our sixth class students, laying strong foundations for good food practices as an adult. We all know how resistant to new foods children can be, creatures of habit they like to stick to what they know to be tasty. Repeated introduction in small amounts, visual stimulus and community effort will make a big difference to the reception of new foods. At home, eating together as a family, new foods being introduced in tiny portions, a rule of “try everything on the plate”, and if needed sticker charts when foods are tried/finished will really see your healthy eating child growing strong and positive about food. Marianne in the junior class has devised a fantastic project to support her students and their parents in this endeavour. 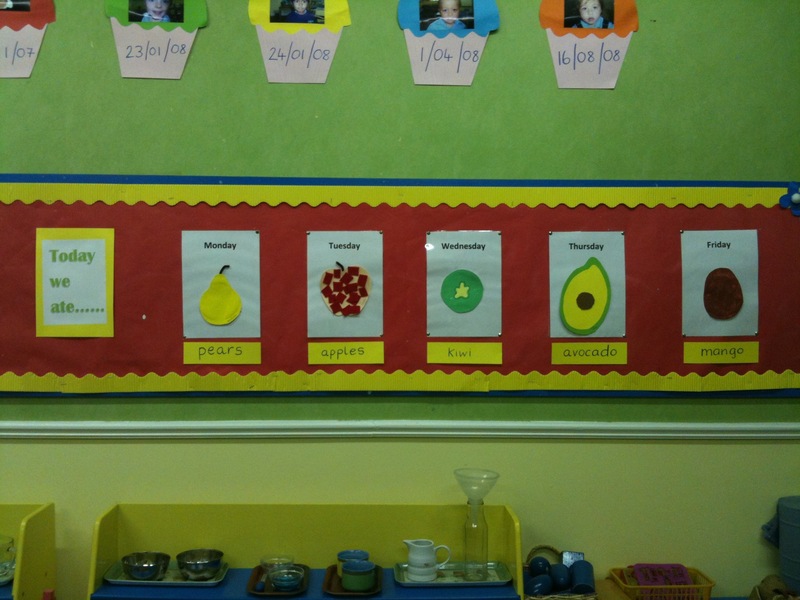 Each day the children in her class are offered a sample of a new fruit or veg at circle time. They talk about the new food, smelling, tasting and talking about its colour, shape and texture. 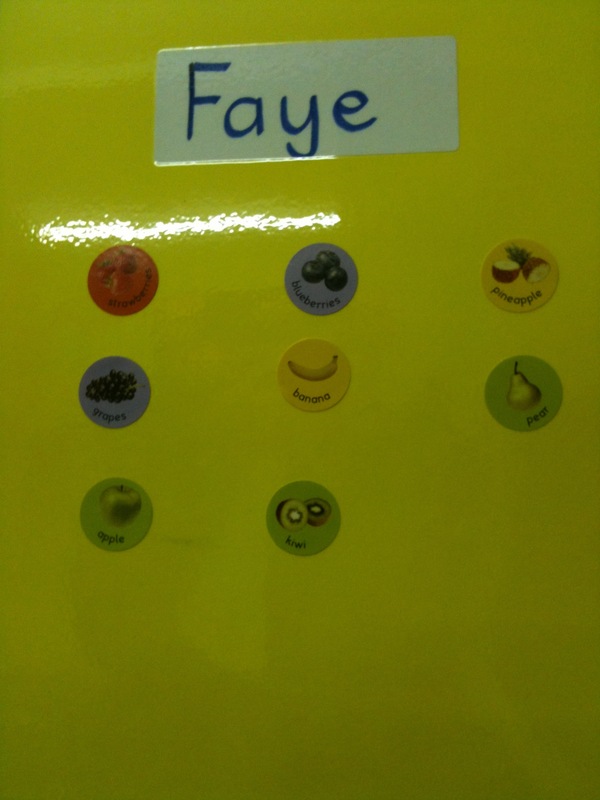 Children who try the new food are given a sticker for their “Healthy Eating Sticker Sheet” providing a visual stimulus to taste the fruit and a record for them to show off to friends and parents giving them a sense of accomplishment even many days later. 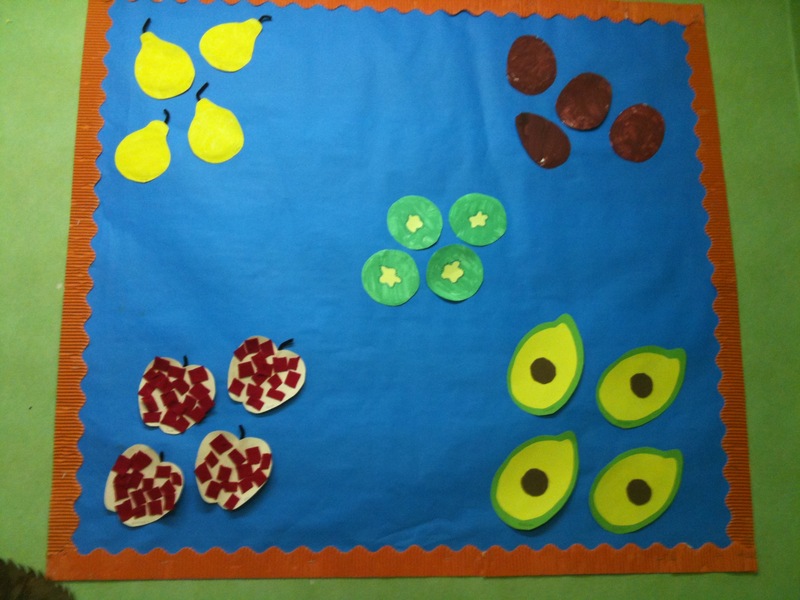 In week one the children tried strawberries, blueberries, grapes, pineapple and banana, In week two they tried pear, apple kiwi, mango and avocado. This week they begin on veg! 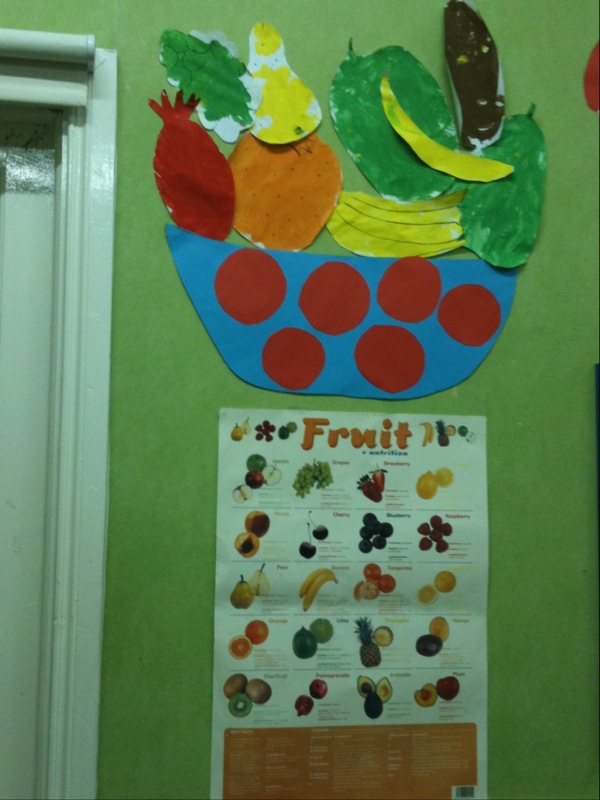 After circle time the children create their artistic interpretations of the new fruit or veg. The fine motor skills involved in gluing, cutting, painting the fruit alongside colour and shape matching adds unseen dimensions which aid the child creatively and cognitively, all helping to make this a fun and rewarding introduction to new foods. Many parents of children in the Junior Class have remarked that their children are taking about the fruit at home, and are more receptive to new foods in their lunches and at family meals. It is amazing to see how a simple but effective Montessori class project can make a difference in our students lives.